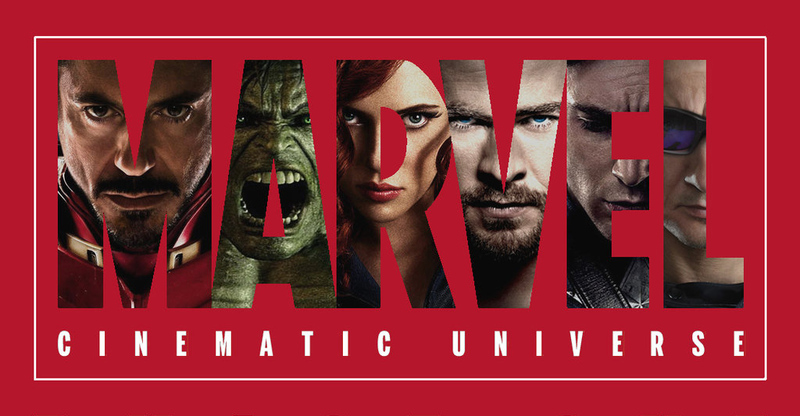 I’m a fan of Marvel’s Cinematic Universe (MCU). I think Disney and Marvel have done a great job releasing some great films that capture the imagination of viewers of all ages. Some of the films are better than others. Some of them probably shouldn’t have been made at all. This post was last updated on 5/21/2018. Note: I’ve removed Inhumans since it is really just a made-for-tv movie. Guardians of the Galaxy is far from a perfect film but Marvel gave James Gunn the freedom he needed to direct a fantastic movie. It broke out of the “Marvel Mold” and made going to see a superhero movie fun again. Until the release of Guardians of the Galaxy, Iron Man topped my list of MCU films. It was the first one released and breathed life into the superhero genre. Unfortunately, it also led to Marvel trying to bottle their success, I’ll talk about that more later. I didn’t think Disney & Marvel could release a movie that would break into my top three MCU films but Black Panther has done it. T’challa is a compassionate, caring, and he leads with conviction. Killmonger is a villain with a cause and this makes the stakes much higher. There are social statements but they’re important to the plot and character development. Some of the CG was bad and I think the movie was a little too long but overall this is a great movie. The Avengers‘ release came nearly a full year after its predecessor. Joss Whedon wrote the screenplay and directed the film and browncoats everywhere weren’t disappointed even if Dr. Horrible 2 and more Firefly would be delayed or never see the light of day. The story of the hero out of time is one that has to be handled carefully. You can’t just drop a character from the 1940s into 2011 and crack jokes about how old-fashioned he is. The screenwriters nailed it for this one and that’s why I’m a fan of this film. 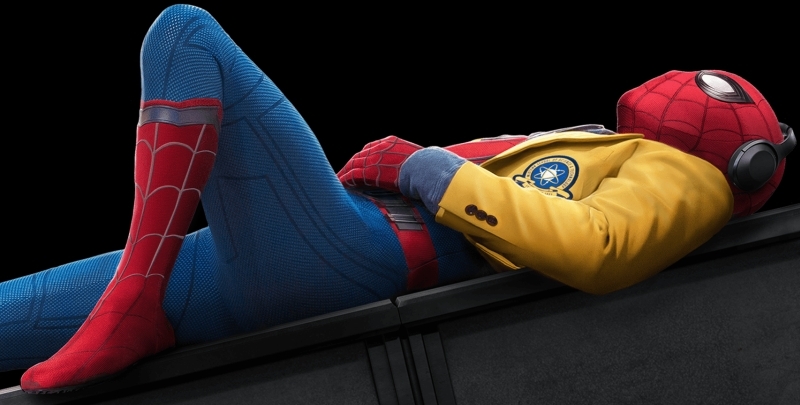 With the return of Spider-Man to the MCU, Marvel and Sony have collaborated on a movie about the famous wall-crawler that actually works. The coming-of-age story without all the retelling of his origin really works well and Tom Holland as Peter Parker is a great fit. Michael Keaton as Vulture is expertly executed. Captain America is an intriguing character to me. His guilt over losing Bucky and pain at finding out The Winter Soldier is his old friend could have made for a brilliant film. Unfortunately, Marvel had to apply their formula and make sure it contained the requisite amount of action and explosions. The lightning they caught in a bottle with Iron Man has started to fizzle. I had high hopes for GotG2. The first film broke the Marvel mold and it was a fun movie to watch. While there is a great story-line in the film about father-son relationships and characters are flesh-out, it’s overshadowed by the tremendous fan-service. The entire opening sequence was there just to pander to everyone who’s in love with little Groot. I never felt like the galaxy was actually at risk in the film. Overall, it’s a fun film but it left a lot to be desired. Like Age of Ultron, Infinity War suffers from bloat. Too many characters, too little plot. It’s a good movie but I didn’t feel like the stakes were high enough. The ending didn’t move me because I know about some of the upcoming movies. There was a lot of great action and the storyline about Thanos was great but the rest seemed superfluous. For me, Civil War is now the baseline for a good MCU movie. If it’s not better than this one, they may as well have released it directly to DVD. The biggest problem with this movie is the fan service. The addition of Spider-Man is superfluous, at best. The action was nice and the plot was interesting but it should have been cut to 90 minutes. The second MCU film directed by Joss Whedon didn’t fare as well in my eyes. Too many characters, too many little plot points and a script that fell flat. Whedon admitted in interviews there was tension between him and the studio. It shows. Ultron didn’t live up to the hype. Full video review here. Following the box-office disaster (in MCU terms) of The incredible Hulk can’t be hard to do. I think after seeing Iron Man and then Hulk, many MCU fans ranked Iron Man 2 higher because they were glad they could forget about the big green disaster. It’s just above average but doesn’t push the all right buttons like the original. You can read my full review of Ant-Man here. Suffice it to say that this movie tops the list of MCU films we could do without. Marvel’s “bottle of success” ran dry. It’s lukewarm, at best. In so many ways, Doctor Strange is a very “Marvel” movie but in other ways it is not. A lot of time is spent on Steven Strange’s motivation and ambition. The movie dives into the character of Doctor Strange in ways that MCU movies in the past have not. However, the misuse of magic as part of the plot really ruins it for me. This is the best of the three Thor movies but just barely. The serious nature of the potential destruction of an entire civilization is overshadowed by comedy. While the film is entertaining & funny at times the viewer would have been better served with a serious take on the events of Ragnarok. Another film that the MCU could do without. I think Chris Hemsworth’s portrayal of Thor is overdone and the whole romance angle is ridiculous. The lore that surrounds the character is lost and instead, we get a long-haired muscle-head with bravado. What was done with The Mandarin made me want to throw something at the movie screen. Making a game out of killing people at the end of the movie made things even worse. I haven’t seen this film yet so technically it’s unranked. Based on all the other reviews I’ve seen online I suspect that it would rank last anyway. Do you agree or disagree with my rankings? Let me know in the comments below. Good list. Guardians was my favorite too. I would have put 1st Cap America as 2, Iron man 3, and both Avengers following. I actually liked Ant Man and that would be my #6. cap 2 as #7 and the others weren’t good at all. My biggest problem with Ant-Man is the wasted potential in this movie. They could have done so much more with the father-daughter relationship and the redemptive arc and instead the studio felt they needed giant booms in the 3rd act. I agree with Thor being low on the list, but on subsequent viewings I like it a lot more than I did the first time I saw it. Doctor Strange would be much higher on my list (I haven’t bothered ranking them). I thought it was very well done, but then again, I was a big fan of that “side” of the Marvel Comics Universe (the Midnight Sons, so to speak). I think I would put The Avengers first, as that was the first team-up flick and definitely had all of the excitement. GotG was awesome, and I’m so looking forward to GotG2. My wish is that they figure out how to include/bring in Warlock… one of my favorite characters. Maybe he’ll be part of the Infinity War (as he was a major part of it in the comics). Thanks for sharing your thoughts, Adam. I wonder if Disney has the rights for Warlock. Marvel sold off character rights to a lot of different studios years ago. Enjoyed reading your ranking of the movies, and your reasoning behind it. I couldn’t help but do my own. Some good solid drama. Great character arc for Black Panter, which tied into theme. Big battle in the middle got a bit too silly but final fight with tony/Cap was very emotional. Loved Tony’s gradual journey to becoming Iron Man. First of a new breed to superhero movies. Period superhero movie! YEAH! Red Skull was kinda cheesy, but hard to do a serious take on a character with a red face. This surpised me big time. Natural humour. Peter seemed way out of his element as a teenager. I worried for his safety. First time I’ve seen this character from a parent’s perspective. Guess I’m getting old. Some good character drama. Enjoyed Stephen Strange’s slow burn transformation into Doctor Strange. And cool effects. The ant man suit is cool. For some reason I really like seeing the world from a shrunken perspective. Honey I Shrunk the Kids, anyone? Also, heist is cool. No matter what others think, I enjoyed this movie. Doesn’t really feel like it belongs in the MCU, but good solid serious drama. My kind of thing. I enjoyed the spectacle in the first half. Went down hill a bit when Thor came to earth, but I enjoyed the sci-fi interpretation of the norse god. I liked how it delved into the emotional aftermath of The Avengers. Tony adjusts to suddenly being in a shared universe with aliens and superpowers. But lacked …. something. Liked it more than the first. The first half was very weak. Too much over-exagurated stuff from Drax. Baby Groot was suprisingly endearing. Giant brain in a planet was … odd … but climax much better than the first GOTG. First time I really felt uneasy coming out of a Marvel Movie. Something was missing. Just never really believed in Ultron as a vaillain. I’m a computer programmer, so asking me to watch a movie about an evil AI is like asking a doctor to watch a medical drama. Not sure what happened here. Seems like Tony Stark’s origin is much more interesting than his established new life as a superhero. Kinda silly. Groot’s limited vocabulary was annoying and unrealistic. The whole “Dance-off Bro” thing COMPLETELY destroyed the climax of the movie for me. Felt like the film-makers ran out of steam and didn’t know how to finish the movie, so they paused, and thew in an un-funny joke. Everything fizzled and fell flat. Never managed to get back up again. I suspect I won’t like it. I’m looking forward to this one. Not sure if I’ll make it to the cinema, though. Thanks for sharing your thoughts, Adam. I’m always interested to see how other people rank things. I like the thought you put into this. I would have a hard time trying to rank these movies because I see most of them as parts of one big story, so it’s hard to separate them. I think Iron Man 2 and Thor: The Dark World would be low on my list, and I know Guardians of the Galaxy and Captain America: The Winter Soldier would be high. I would definitely rank Iron Man 3 higher than you. I loved the Mandarin twist.I still haven’t seen Thor: Ragnarok or Black Panther. I suspect the former will be in the middle for me, and the latter will be higher. Thanks, Reed. The biggest issue I have with Iron Man 3 is how they turned killing a bunch of people into a game between Tony and Rhodey. I didn’t like the twist either.